As a woman, you know both the beauties and the challenges of life firsthand. Often times, they go hand in hand. Getting your education. Falling in love. Building a career. Raising kids. Living long. All of these things are so beautiful and none of them are easy. If you plan well, it won’t matter when things get hard. You will always feel secure, because you’ll always have a backup plan. Instead of an unpleasant surprise, you’ll experience nothing more than a bump in the road. Sometimes it’s hard to know where to start. That’s why we created JMMB Her Wealth, to help make you financially stronger. Through the beauty and the challenge, we’ll be there for you. Retirement Plan: Women live longer than men, it’s a fact. That means you’ll have to save even more to enjoy the golden years of your life. Emergency Fund: Have enough put away to protect yourself and the family in case your car breaks down or you need to pay a surprise hospital bill. This always beats a costly emergency loan, which often comes with high interest rates. Personal Investment Plan: Make sure you take care of you -- and set yourself up for a prosperous future. We can help you maximize on returns and meet the goals you’ve set for yourself. 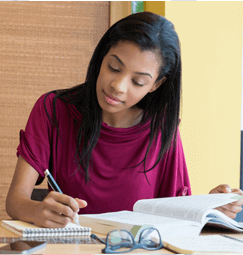 Education Plan: Create a savings account for your children (even if you don’t have any yet). Be prepared to offer them the future they deserve. Education Loan: You're a woman with ambition. Education can help you reach those aspirations. 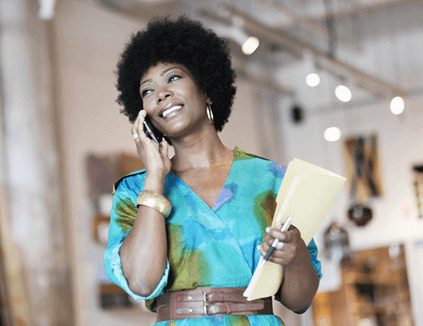 Working Capital for Business: As a female entrepreneur, you're used to calling the shots. You’re building your own destiny, but sometimes, you need a little support. A loan (secured or unsecured) can get you to where you need to be. Maternity Loan: Family brings plenty of two things: happiness and expense. Maternity loans can help you manage the latter and enjoy the former more. Home Loans: Your dream home can become your real home with a smart home loan. Curious about what’s the best loan for you? Consult our expert team to learn more. Talk to us about our Her Wealth package. You do it all. You work. You have a family. You give everything that you have to this world. Make sure that you protect yourself as well by getting quality insurance. That way, no matter what happens, you know you’re covered. Motor Vehicle Insurance: You’re a fantastic driver. That doesn’t mean everyone else is. Make sure that you have your car protected since some people on the road don’t behave as well as you do. 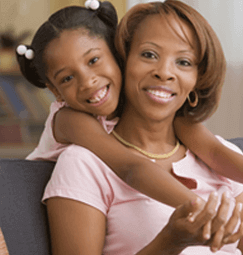 Life Insurance: As a woman, it’s in our DNA to plan for the future. Life insurance can help you face your financial future with confidence and know that your family is well taken care of. Major Medical Insurance: Maternity coverage matters. And with very affordable premiums, you want to make sure you're investing in the best coverage you can. Family Indemnity Plan: Funerals can be expensive. You don’t want your passing to financially cripple your family. Safeguard from this with a family indemnity plan, which covers final expenses, including funeral costs for you, your spouse (common-law included), children, parents, and parents-in-law. This way, you can cover the costs by passing the funds onto your loved ones. We want you to optimize every dollar you spend. With JMMB Her Wealth Rewards programme, tailored to your lifestyle, you have access to exclusive discounts from our JMMB Her Wealth partners, including medical, beauty, auto and home and garden services. Women are planners. What’s your future plan?